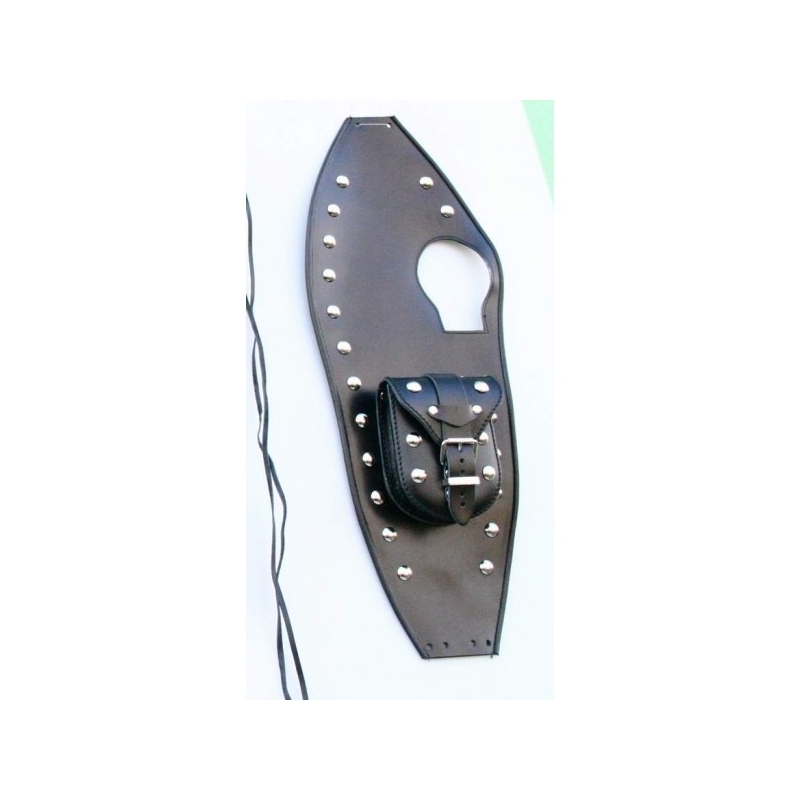 Impregnated cowhide leather motorcycle tank belt is lined with soft foam underneath to protect the tank from scratches. Price includes a belt pocket. The end of the strip is inserted between the seat and tank / no need for further fixing / front part is fixed with leather straps. Very nice motorcycle accessory, also protects tank from scratching. Can be also made without studs.